Trade friction started from the US spreads globally, causing confusion in financial markets. The friction between the US and China intensified, and the Shanghai Composite Index continued its decline, falling below 3,000 on 6/19, its lowest since Sep 2016, and it reached 2875.81 on 6/21. In the US, the Dow declined for 8 consecutive days to 24,461.70 points, falling by 860.61 points (3.40%) during this period and down 1.04% for the year. The US warned of the application of tariffs on Chinese products with a total value of US$450 billion, which is almost the majority of Chinese exports to the US. From July 6, the US plans to invoke tariffs on 818 items such as China’s industrial robots, electronic parts and cars, which is equivalent to US$34 billion worth of trade. A public hearing to be held on July 24 may see another 284 items equivalent to US$16 billion added from the high priority “Made in China 2025” cluster, such as chemical products, optical fiber, measuring equipment, manufacturing equipment for electronic parts, agricultural machinery, other industrial machinery, and railroads. The US is increasingly criticizing the strategic “Made in China 2025” high-tech industry cluster which China is fostering with huge subsidies. Meanwhile, China cancelled its plan to increase imports by US$70 billion (7.7 trillion yen) of agricultural products and energy from the US and announced 25% tariffs on 659 items including those items. On Jul 6, China plans to impose tariffs on 545 items including soybeans, beef, pork, chicken, oranges, whiskey, tobacco and cars (including EV) which are worth US$34 billion out of the total US$50 billion effected, and then consider when to activate tariffs on the remaining 114 items including crude oil, natural gas, coal, ethylene and medical instruments, equivalent to US$16 billion. As China accounts for 60% of the exports of US soybeans, the damage to the US may not be small. 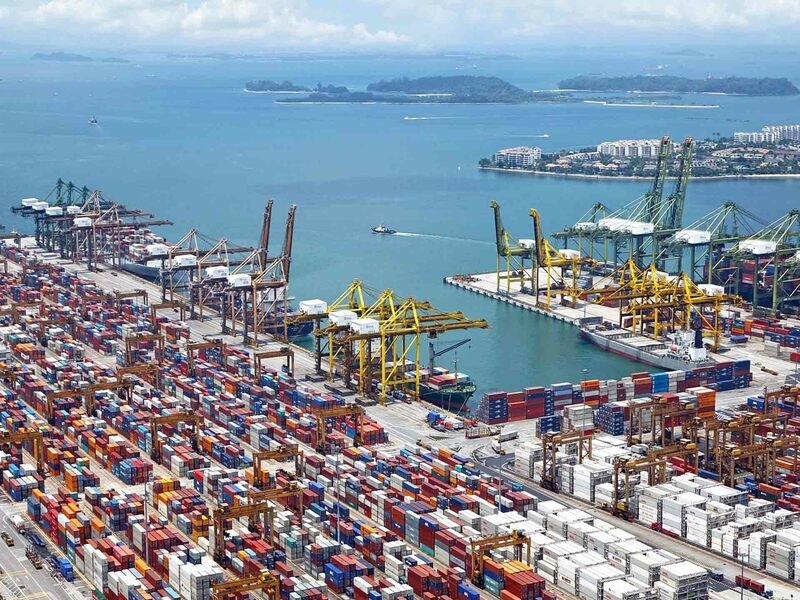 The EU, from Jun 22, imposed retaliatory 25% tariffs on EUR2.8 billion (360 billion yen) of products including steel/aluminum products, agricultural products such as corn and peanuts, bourbon, jeans, motorcycles and so on. Daimler AG announced a downwards revision of its forecast business performance against a backdrop of further US-China trade friction. President Trump’s approval rating has risen to 45%, its highest level since right after the election, and the strong trade policy will probably continue. The stock selection focuses on domestic stocks with good performance, but also picked up trading companies due to the stabilization of crude oil prices, PER and dividend yield level. 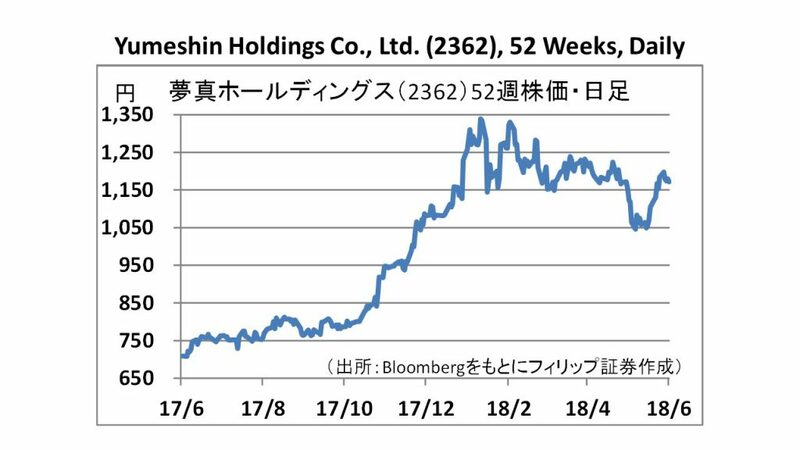 In the 25th of Jun issue, we will be covering Yumeshin Holdings (2362), AMBITION (3300), Zeria Pharmaceutical (4559), Sumitomo Osaka Cement (5232), KOITO MANUFACTURING (7276), and Mitsubishi Corp (8058). 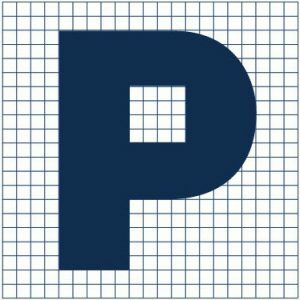 · Established as a construction office in 1970. In addition to the dispatch of construction technicians and engineers, the company is also engaged in education and IT related businesses. In 1985, it established a mechanism to have construction drawings drawn overseas. In 1990, it began outsourcing construction technicians. The company dispatches construction technicians as well as CAD operators. 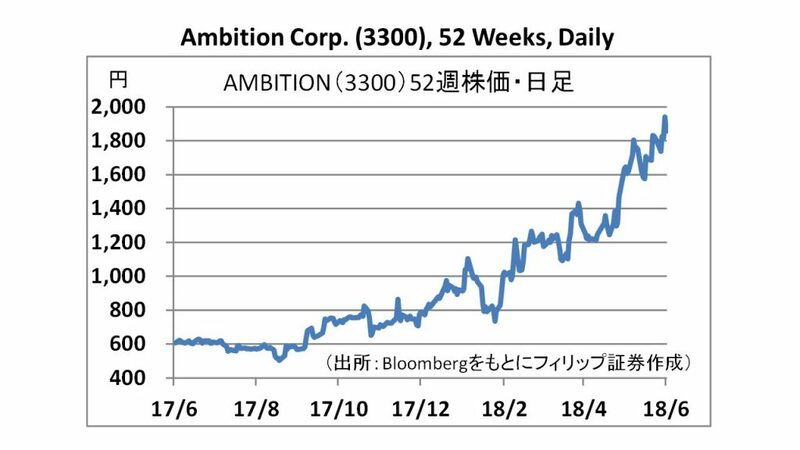 · For 1H of 2018/9 (October – March), sales increased by 33.2% to 19.338 billion yen, operating profit doubled to 2.587 billion yen, and net profit rose 2.3 times to 1.871 billion yen as compared to the same period the previous year. The scale of dispatching construction technicians and engineers grew by hiring a greater number of technicians. Profits rose due to higher billing per staff and staff utilization rate in the construction technician temporary staffing segment. · For 2019/9 full year forecasts, sales is expected to increase by 27.8% to 39 billion yen, operating income to increase by 90.5% to 4.5 billion yen, and net income to double to 2.9 billion yen as compared to the previous year. The earthquake that occurred in Osaka prefecture on June 18 exposes the aging of urban infrastructure as seen in damaged water pipes. There may be a higher demand for adopting earthquake proof technology, maintenance and repair work. · Established in 2007. The company engages in property management, lease brokerage agency services and investment business. Its core business is to provide housing for singles in their 20s to 30s through leasing of residential units. It also purchases residential properties below market value, renovates and sells to the general clients. · In the 3Q (July – March) of 2018/6, sales increased by 66.3% to 16.558 billion yen, operating profit jumped 9 times to 548 million yen, and net income rose 8.7 times to 268 million yen as compared to the same period the previous year. The property management segment expands steadily. Sales and profits increased dramatically due to the gains from Veritas, a real estate development and planning company which was acquired by Ambition Corp in Oct 2017. · The 2018/6 full year forecasts have been revised upwards. Sales is expected to increase by 58.8% to 23.143 billion yen (previous forecast was 22.289 billion yen), operating income to increase 3.8 times to 1.108 billion yen (Previously 672 million yen), net income to increase 3.7 times to 547 million yen (Previously 304 million yen). Following the enforcement of a new law governing home-sharing, the reservation rate of the private homes during the non-peak season rose to more than 80-90%. 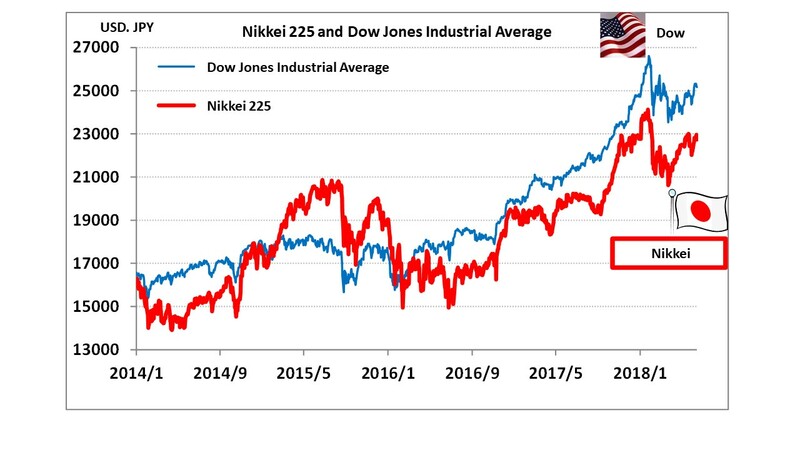 Japan Weekly Strategy Report – Any prescriptions during the trade war?